Fashion and luxury mean a great deal, even in sports. 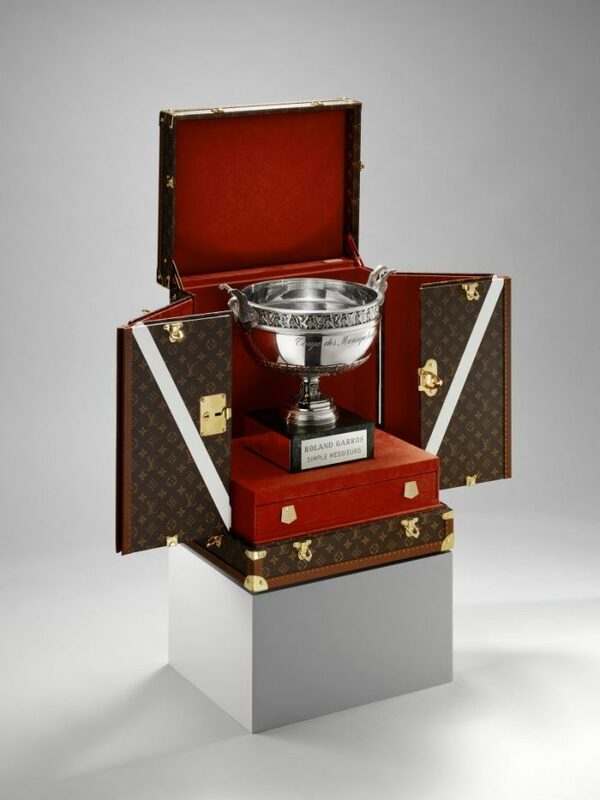 The latest interesting collaboration is between Roland Garros and the famous fashion house	Louis Vuitton. 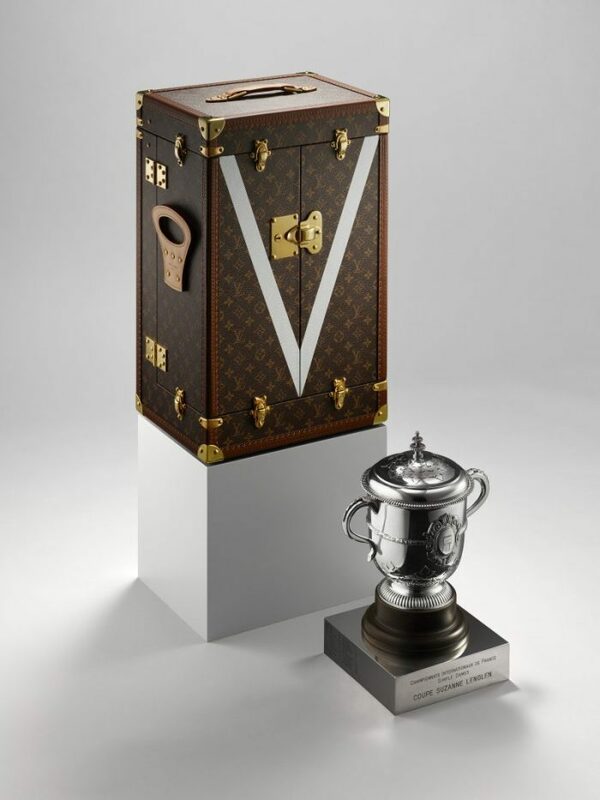 The French house created two unique trunks that will be used to protect and carry the Suzanne Lenglen and Musketeer’s trophies for the French Open championship. The 2017 tournament is scheduled from	May 22 to	June 11, and just like every other year, the trophies will be awarded to the winners in men’s and women’s categories. The championship will take place in Paris. The trunks were designed to represent the historic meaning of this championship. They look very classy and at the same time incorporate Vuitton’s signature style. At first sight, you can see the recognizable Louis Vuitton monogram canvas, covering the outside of the trunks. The inside, on the other hand, is covered with a terra-cotta colored material that strongly portrays the red clay surface of Roland Garros’s tennis court. Another thing that is highly related to tennis and is incorporated in the design are the two “V’ shaped white stripes. They are placed at the anterior of the trunks and are a symbol for the lines of a tennis court. The corners and the lock made of brass are just another added detail that is characteristic of the luxury fashion brand. 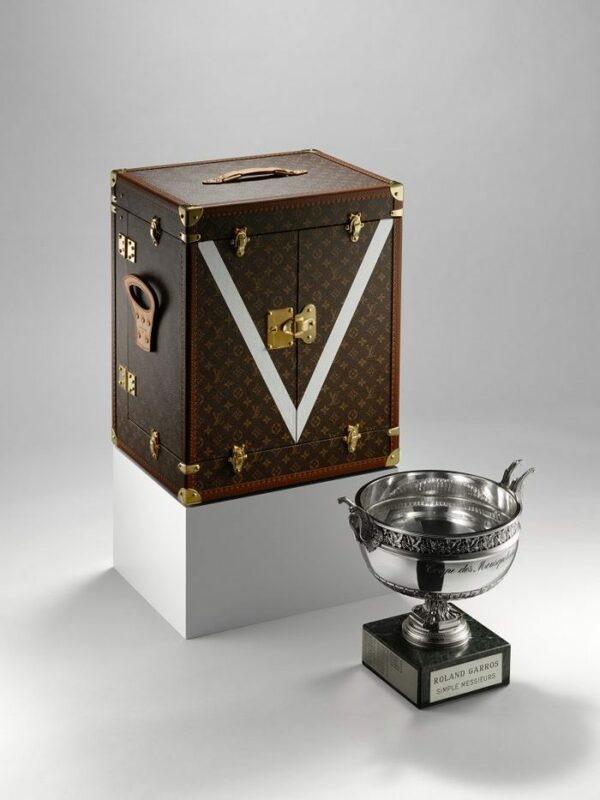 Both of the trunks were made in the historic workshops of LV in	Asni‚Äö√†√∂¬¨√Üres. Maison Mellerio is the creator of the two tournament cups. He is the oldest jeweler and goldsmith in the world. Mellerio is a family owned business that was founded in 1613 and their main store today is located at the Rue de la Paix in Paris. The world-renowned French brand was founded in 1854, and since then it has been among	the most luxurious brands with boutiques all around the world. 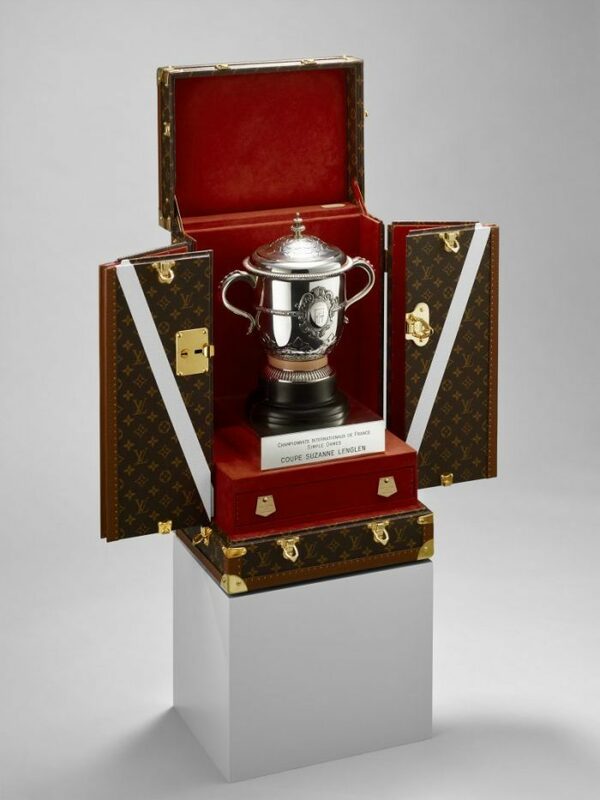 Louis Vuitton is very well known for their monogrammed trunks and many other leather goods. Recently, the house also started to produce high-end, ready-to-wear clothing, shoes and accessories. During the latest Paris Men’s Fashion Week, the French fashion house presented their line on which they collaborated with Supreme. This was a great surprise to the fashion industry. The latest rumors are that the two brands are going to open many pop-up stores at the end of June, including ones in New York, Miami, and L.A. Until then, all we can do is sit tight and wait for another great fashion moment.